Due to the unconventional bulky size of the package the logistic process is very complicated. That’s why we can only work with a few selected shippers. 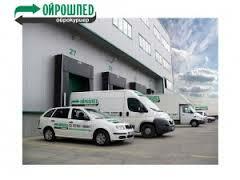 We cover large part of the transport cost as otherwise it would be unbearable for a single purchase. By this, we believe that the offered prices are more than fair having in mind the product specificity stated above. Unfortunately, we cannot ship to island at the moment. Shipping takes from 7-10 business days. For logistics purposes, items may be transferred between two or more transport and warehouse companies, which is not in our direct control, and sometimes out of our immediately knowledge. Thus, we cannot provide with assurance which the final transport company will be and respectively cannot give a tracking number. Weeks around holidays, especially Christmas, are subject to difficulties with delivery. If your order is to be placed around holidays, please contact us accordingly for the planning of your shipments.